In an article1 discussing the irony of Sir David Attenborough’s crediting contemplation of nature for solace he has felt after his wife’s death, the author rightly criticizes Attenborough’s double standard. 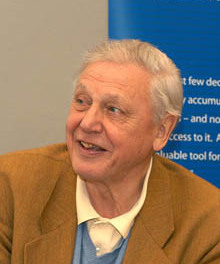 Attenborough has for many decades, in his atheism, used his television programs to present a godless view of nature as a mere product of evolution and blind chance. The process, which he believes that evolution takes, is the very antithesis of something that induces peace, calm and reassurance. The author, correctly, speaks of the great damage that Attenborough has done to our civilization both individually and collectively through the promotion of the atheistic godless Darwinian evolutionary philosophy. He cites one young man who fell away from the faith after reading Darwin’s book The Origin of Species.